Oprah's annual "Favorite Things" list includes 72 items "tasted, tested, sniffed, snuggled, brewed, steeped, read, shared and dared" by the lady herself. It's even better than Christmas morning for all Oprah obsessives: the media mogul and lifestyle guru released her annual "Favorite Things" list. As they are every year, this year's 72 items were "tasted, tested, sniffed, snuggled, brewed, steeped, read, shared and dared" by the lady herself, according to the list published in the December issue of O, The Oprah Magazine, which hits newsstands Nov. 11. The list is filled with outrageously unnecessary, supremely cozy things that you never knew you needed but now cannot live without (including a healthy supply of Oprah-related items, like her book, a movie she produced and meditation CDs featuring her and Deepak Chopra). The best part? The little facts you glean about Oprah from her explanations of why she chose each product (did you know she owns 26 pairs of Warby Parker eyeglasses and wears white after Labor Day?). The trendy Apple-owned headphones and matching speaker already seemed luxe, but for Lady O, let us all dip them in gold. The sound is so good that they apparently make her want to "get [her] dance on," so that's reason enough for all of us to buy them. If Oprah can't make it to her favorite workout, the $34-per-45-minute-indoor-spin-cult SoulCycle, she takes it to the street on this seven-speed bike. Oprah said not only does it keep you fit, but it also slims down your carbon footprint. This isn't your standard popper. It comes with a melting station that warms butter, caramel or anything else Pinterest would tell you to add. Oprah said she prefers blending truffle oil, truffle butter and truffle salt, naturally. If you need a little pick-me-up and you've already seen what's playing on OWN, you can sort through these 365 thoughtful quotes printed on handmade paper. 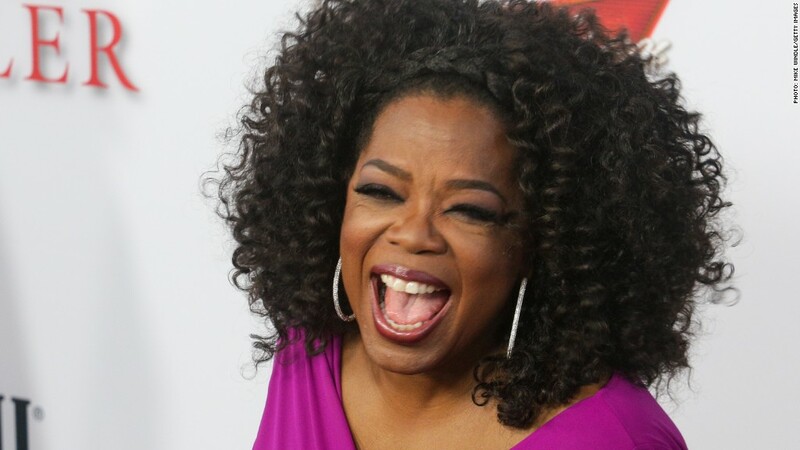 Oprah said she likes to read as many as she can while waiting the five minutes for her chai to steep. Every dog deserves the spoils that Oprah's dogs receive, so here's your chance to stop cheaping out on their beds. These cushy beds come with custom portraits of your beloved pooch, are made with hypoallergenic materials, are washable and look seriously chic. While it's not exactly like breaking bread with Oprah, you can break really, really, ridiculously expensive bread like Oprah. The 15-pound loaf of rustic, thick-crusted sourdough is two feet in diameter, and is what Oprah calls "a statement piece," as every carb should be.